FOXBOROUGH, Mass. – When the New England Patriots posted a video on their website from inside their locker room following Thursday’s victory over the Indianapolis Colts, veteran cornerback Jason McCourty’s reaction was the showstopper. “Yeah, I’m excited! I did a lot of losing last year! That’s what I’m talking about!” McCourty exclaimed as he had a little extra giddy-up in his step. The smiles from players, coaches and support staff to McCourty’s jubilation were hard to miss. So, too, is the enjoyment that McCourty has been experiencing in his first year with the Patriots after spending 2017 with the 0-16 Cleveland Browns, following the first eight years of his career with the Tennessee Titans, who never qualified for the playoffs over that time. “I didn’t realize they were recording me, but I think it’s fun to win,” McCourty explained of his postgame reaction. “It’s a blessing to be able to able to play this game, and win, lose or draw, I think you walk off the field and you realize you can’t take that for granted and you’re appreciative of the blessing to just go out there and compete. But at the same time, you go through a lot throughout the offseason, throughout the course of a week, to prepare. McCourty, 31, has been one of the unexpected stories of the Patriots’ 3-2 start. He hardly took any repetitions in spring practices, opened the season as the No. 4 corner, accepted a pay cut to reflect his lower spot on the depth chart, but has decisively taken over the No. 2 spot over the last three games and has been playing arguably as well as any Patriots defender. McCourty’s best game came last Thursday against the Indianapolis Colts, when quarterback Andrew Luck targeted him on back-to-back plays on the second drive and McCourty’s tight coverage contributed to incompletions that preceded a missed field-goal attempt. He later used excellent technique with his left arm to reach around receiver Zach Pascal and deflect a pass that was intercepted by cornerback Jonathan Jones. The Patriots officially turned to McCourty during their Week 2 loss against the Jacksonville Jaguars, when starter Eric Rowe was benched after two series. Rowe has since been sidelined with a groin injury, so McCourty has seized the top spot to the point where it’s now hard to imagine him giving it up. 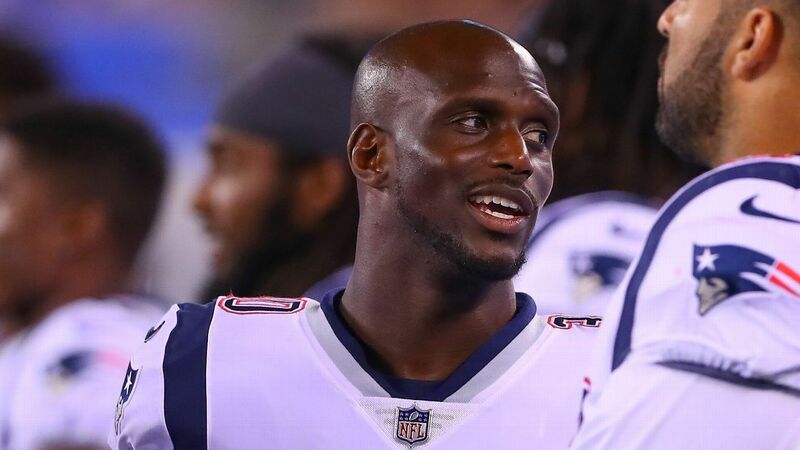 It has been an unexpected turn for the twin brother of Patriots captain Devin McCourty (Jason was wearing Devin’s slide shoes in the locker room Tuesday), as the coaching staff even tried him at safety during the preseason. Cornerbacks coach Josh Boyer added that McCourty has “good speed” and is “about the normal size of most corners in the league [5-foot-11, 195 pounds]”, while echoing Hightower about his impressive mental acumen. McCourty and the Patriots have an extra day of practice this week leading into Sunday night’s game against the 5-0 Kansas City Chiefs, who lead the NFL in points scored. Five weeks ago, McCourty wouldn’t have projected to be a big part of the team’s plans. He is now, in one of the most surprising developments of the Patriots’ season.